Though it may not have been present at the 1621 celebration of the Pilgrims at Plymouth, the turkey is undoubtedly the star of the Thanksgiving feast. Because this beautiful bird is large enough to feed a sizable crowd — and because it is uniquely North American (often hunted by colonists) — it became a staple of the table when Abraham Lincoln declared our national holiday in 1863. But as the Day of Thanks approaches and your calendar fills with celebrations, it doesn’t mean you have to have all turkey all the time. 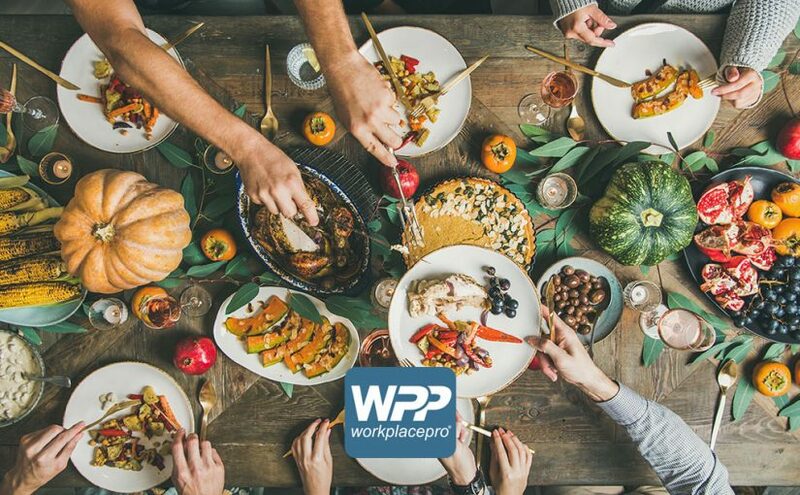 Your employees will likely get their fill of the bird while they’re off on Thanksgiving, so it’s your chance to come up with a fun, unique menu for your workplace gathering that shows them you’re grateful for them — but doesn’t give them a turkey hangover before they get to the main event. The holidays are a season for celebration with loved ones. But if the proper safety precautions aren’t taken, you may find yourself spending your time in the emergency room, rather than around the tree. Fortunately, there’s a lot you can do to reduce the risk of holiday injuries for yourself and your loved ones. 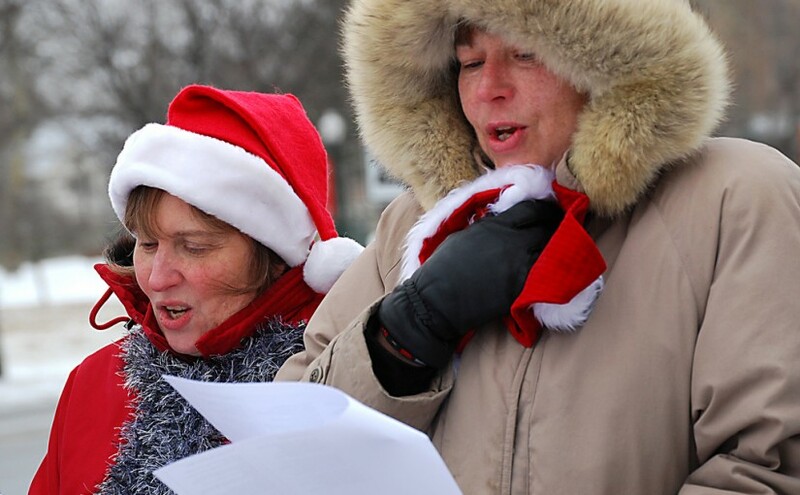 Start by educating yourself on these top five holiday health risks. Those lovely trees people bring into our homes are made of wood, which get even more flammable as the trees dry out. The U.S. Fire Administration reports that from 2009 to 2013, Christmas trees triggered an average 210 home structure fires each year, and compared to other kinds of home fires, those started by Christmas trees led to greater damage and $17.5 million in property damage. But trees are hardly the only fire risk during the holidays—decorative lighting throughout and outside the home can also lead to fires in the home. Keep your tree well-watered all season, or even better, get an artificial one. Put out all lights and candles when you go to sleep or leave the house, and check strings of lights for exposed wire before putting them up each year. Getting decorations up can be at least as dangerous as having them out—about 5,800 people are injured in decorating-related falls each holiday season, according to the Electrical Safety Foundation International. Always use a step ladder when putting decorations up—don’t rely on nearby chairs or other substitutes. When working outside, use a sturdy ladder. Toys can be a serious chocking hazard for children–as many as 251,800 toy choking incidents landed children in the emergency room in 2014, according to the CPSC. Reduce the risk by making sure gifts to children are age-appropriate and paying attention to recall announcements. But toys aren’t the only choking hazard during the holidays—always keep an eye on children near ornaments, lights, and other seasonal decorations, too. It’s no coincidence there’s a 5 percent increase in heart attack deaths in November and December, according to a 2004 study published in Circulation. It starts with the increased risk caused by cold weather, which constricts blood vessels and raises blood pressure. Then pile on the stress, overindulgence, lack of sleep, and reduction in physical fitness that so often come with the holiday season, and you’ve got a perfect storm. 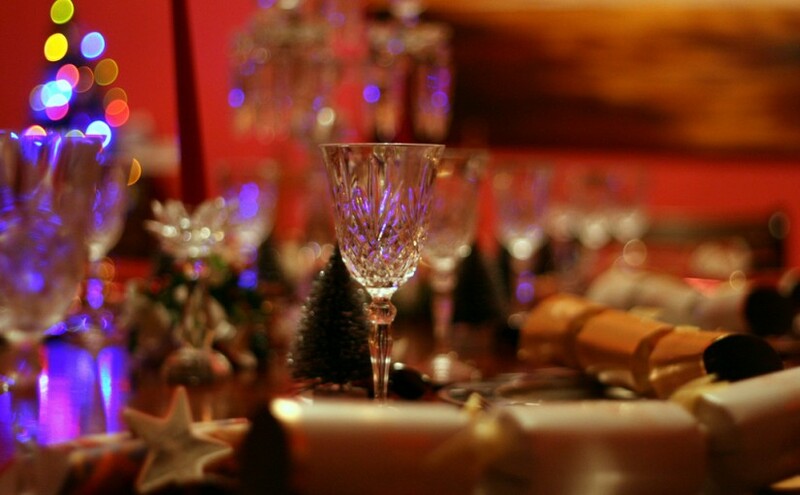 To top it all, people often ignore the symptoms of a heart attack during the holidays to avoid disrupting the fun. Reduce your risk by wearing warm clothing and keeping your living space well heated. Take extra care to get your sleep, get your exercise, and stick to any heart mediation regimen you’re on during this busy time. And of course, if you suspect you’re experiencing symptoms of a heart attack, don’t wait—seek medical attention immediately. There’s also an increase in car crashes during the holiday months. Some of the increased risk is due to the decreased daylight hours on the road. But according to the National Safety Council’s Injury Facts 2015 report, 343 people died in driving accidents on New Year’s Day, 360 on Thanksgiving, and 88 on Christmas in 2013. To reduce your risk, always have a designated driver if you’re going to drink at a party, and avoid driving on the highest-risk days, when possible. The holidays are a wonderful time of year, but they’re not without they’re perils. But take precautions to keep your festivities safe and protect your loved ones, and the holidays can still be the merry season they’re intended to be. The holidays are a season for family, friends, and fun. But it doesn’t take much for all that packed-in merriment to become overwhelming. Between all the parties, the travel, the treats, and just plain disruption to your routine, self-care can quickly fall to the wayside—leaving you feeling tired, stressed, and maybe even guilty. December is no time to jumpstart a new diet. In fact, depriving yourself in the face of so much temptation can lead to binges—which usually means eating even more junk than you would have in the first place. Instead, let yourself indulge—in moderation. Try to use the 90/10 rule—eat healthy 90 percent of the time, and treat yourself the other 10 percent. Take advantage of those non-festivity meals like lunch to pack in the veggies and other nutrients you aren’t getting at parties. You can also preempt binging on cookies at a party by eating a healthy light meal or snack before heading out. As much as possible, maintain a normal eating schedule. This will help you prevent those moments of starvation where you want to eat everything in sight. When you’re bringing a dish to share at an event, make it a healthy one that you’ll enjoy eating. That way, you know you’ve got at least one guilt-free tasty snack available when the snacking starts. When you bake cookies or other treats, experiment with healthy swaps in your recipe, such as using fruit purees instead of butter. You might be surprised by what you don’t miss. Use tricks to help yourself eat smarter without feeling deprived. Taking small plates at the buffet table will prevent you from taking too much at once. It also helps if you take generous portions of healthy dishes, and smaller portions for treats. You can also help yourself eat less by munching slowly and spreading out your food enjoyment. Give yourself time between trips to the buffet, too—it can take your body about 20 minutes after eating to alert your mind that you’re full. Drinking enough water can be hard when you’re out of your normal routine, and especially if you’re traveling. But when you get thirsty, your body can misinterpret the signals as hunger and cause you to overeat. Avoid this my making it a point to drink more water during the holidays. If you need more incentive, staying hydrated can have some other benefits you’re sure to enjoy during this season, too, such as reducing fatigue, boosting your immune system, and keeping your skin looking great for those holiday photos. Limits and boundaries can be especially important during the holiday season, as the amount of events (and treats) on your plate can escalate quickly. If you stretch yourself beyond your limits, you’ll quickly become stressed and unhappy. Only say “yes” to the things that will enhance your enjoyment of the season. Regular exercise isn’t just good for the number on the scale—it also helps you manage stress and feel better. Get your workouts in during the chaotic time of holiday parties and travel by blocking it out on your calendar. Working out first thing in the morning can prevent scheduling conflicts. Even if it’s too snowy out to go for a run, there’s plenty of ways to get a workout in. Find one you enjoy or try this no-equipment, do-anywhere circuit from the Mayo Clinic. If you need more motivation to keep your fitness on track, sign up for a race or other fitness challenge in January. The challenge will help you keep your eye on the prize, rather than the snooze button. It can be hard to catch enough sleep every night when there’s always another party to go to, and in the morning there’s still work, kids, pets, and the rest of normal life demanding our attention. Pace yourself, and try to stay as close to your normal sleep pattern if you can. The holidays should be a time for fun with friends and family. Don’t let the demands (or the temptations) of the season become a source of stress, guilt, or extra pounds. 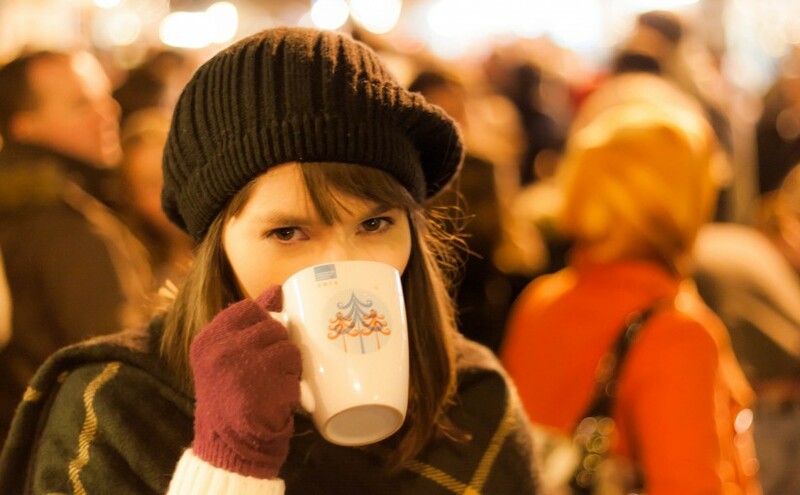 With a few simple tricks to stay in control of your holiday activity, you can enjoy all the perks of the season without overwhelming yourself.